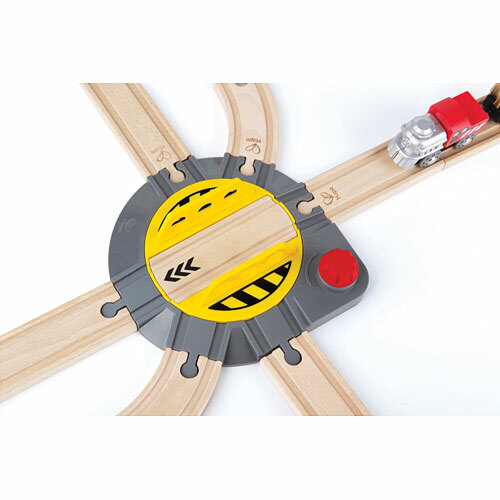 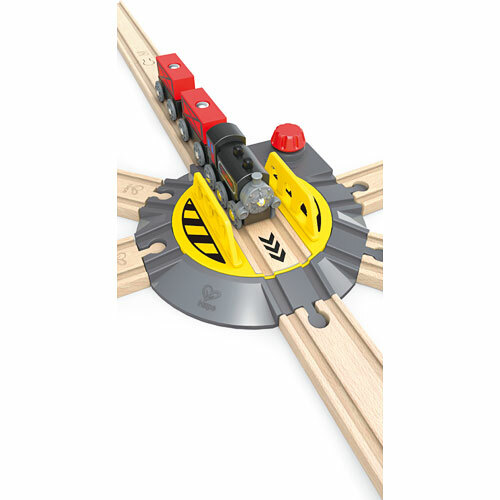 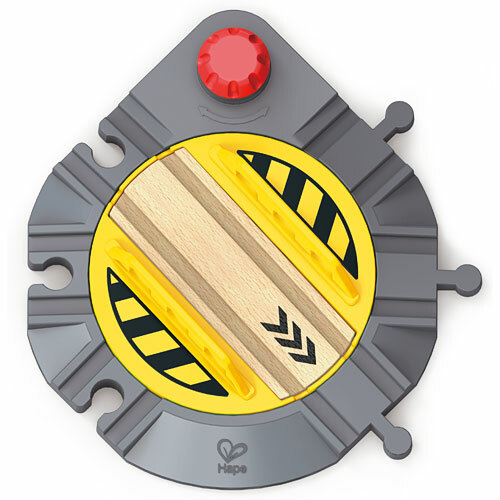 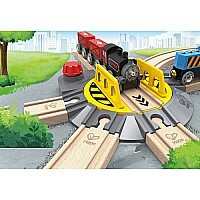 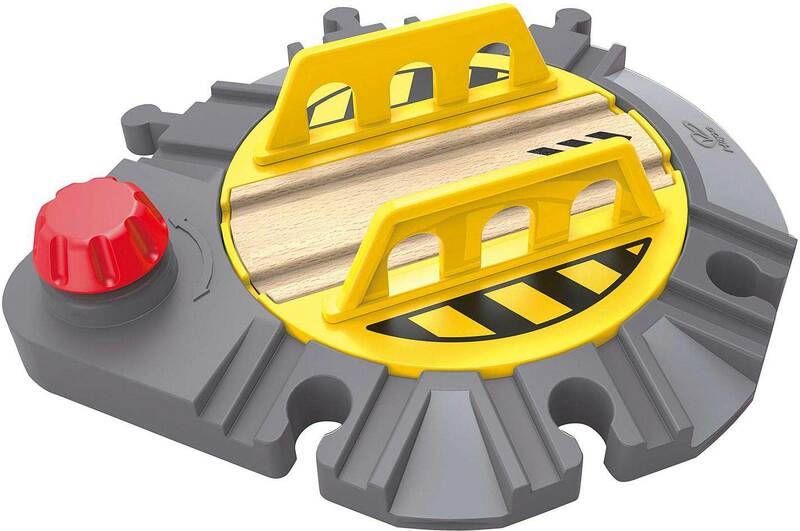 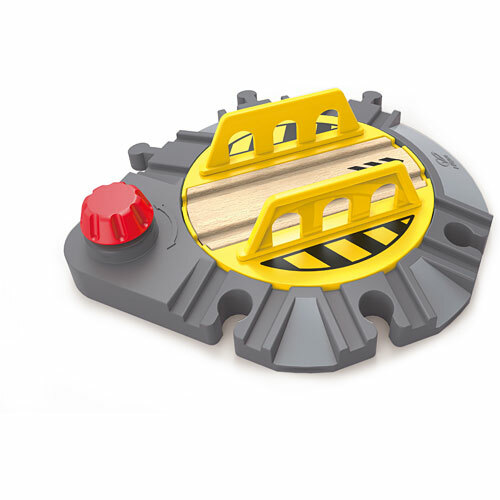 Turn the platform and choose from six possible tracks using the red knob. -Room on the central platform for big engines. 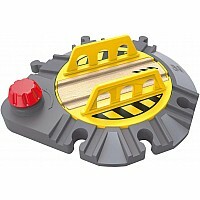 Measures approximately: 7.48 x 7.09 x 1.82 inches..